I believe that my two years of service had a 100% direct impact on my discernment process and decision to enter the Daughters of Mary Help of Christians, more commonly known as the Salesian Sisters of St. John Bosco or just the Salesian Sisters. 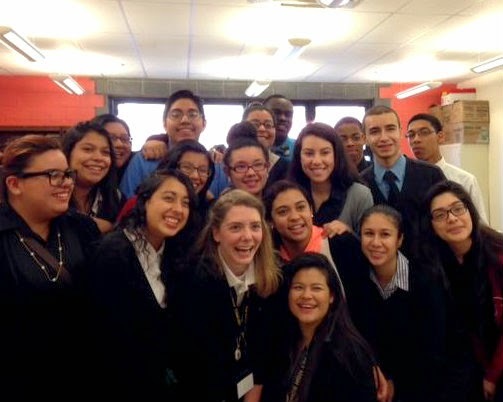 In fact, I would go so far as to say that God sent me to volunteer at this particular High School to reveal my vocation. 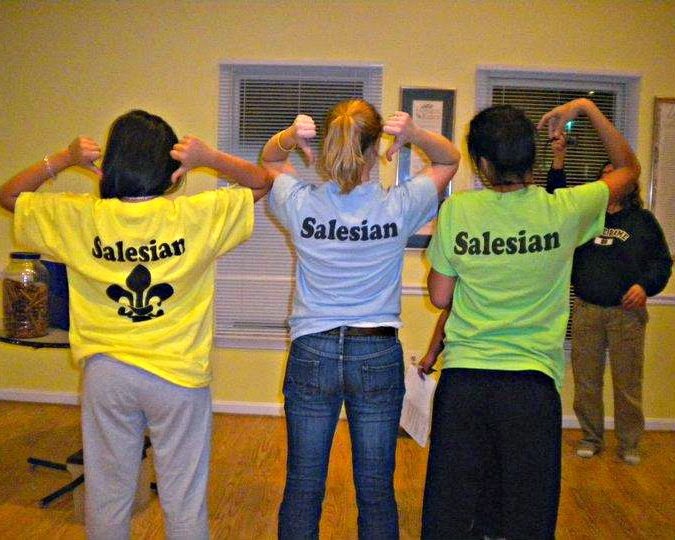 Kelly, along with two of her students, showing some Salesian pride! Come April of my senior year in college, I found myself without a plan for the following year and the idea of doing a year of service re-entered my mind. I visited the Catholic Volunteer Network websiteand found the online RESPONSE directory, which helped me to narrow down my search to the type of program I was interested in with the type of support that I needed. Kelly and Fr. 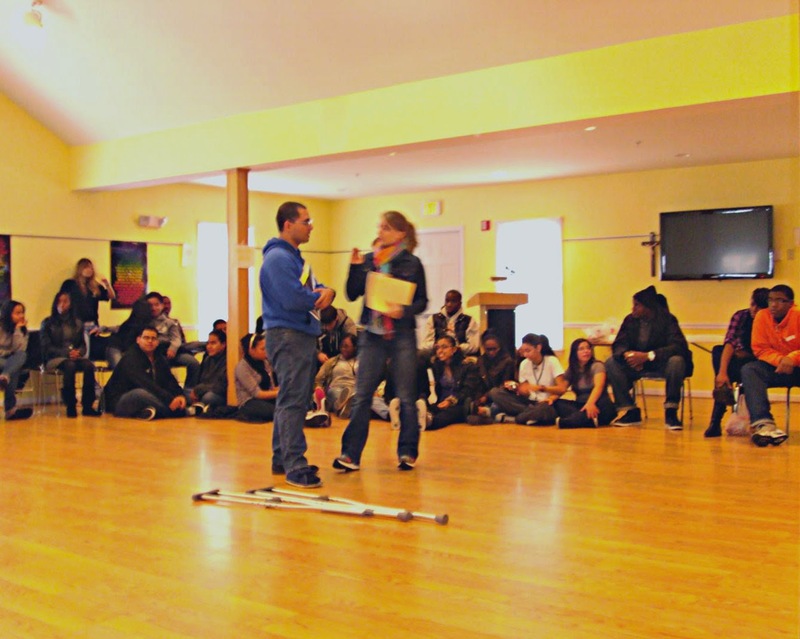 Abe facilitate a senior retreat. 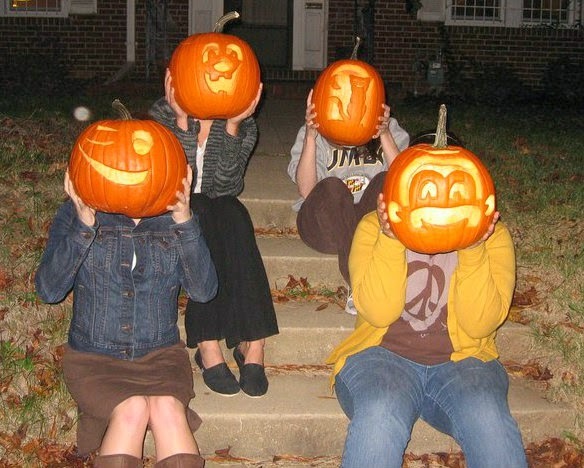 Kelly celebrates Halloween with her community members. Kelly’s visit to DBCR after joining the Salesian Sisters. You can learn more about Kelly, and her life as an aspirant on her blog, Nunsensical. And for more resources on discerning your vocation through service, click here.